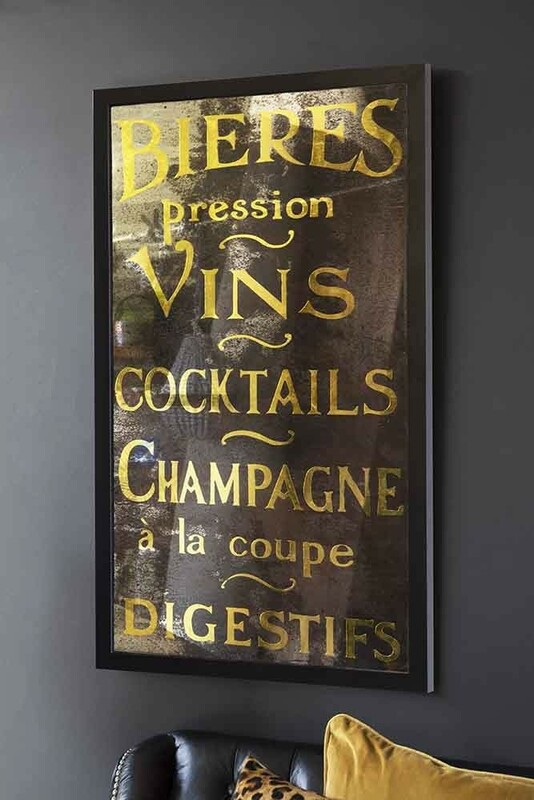 A beautiful antique style mirror that reminds us of a French bistro the rectangular mirror is a is a decorative piece with the French words for all of your favourite boozy drinks printed onto the glass - Bieres pression, vins, cocktails, champagne a la coupe, digestifs’. Framed in a beautiful black frame the letters are printed onto the mirror using hand-silvering and antique mirroring processes. The letters themselves are hand gilded using a variety of metal leaf including 22 carat gold, silver, bronze and white gold. The Antiqued Mirror measures 100cm x 100cm and has a 5-6 week delivery time frame. Our ethos at Rockett St George is to source pieces for the home that you truly love and in fact, co-founders Jane Rockett and Lucy St George only select products for our online store that they both love. It’s taking the time to source treasures and decorative accessories for your home that you absolutely love that makes the biggest difference. A really lovely vintaged typography mirror the French Bistro Mirror is just one of those home décor pieces that is bursting with personality and quirky charm… something that we know you’ll love! 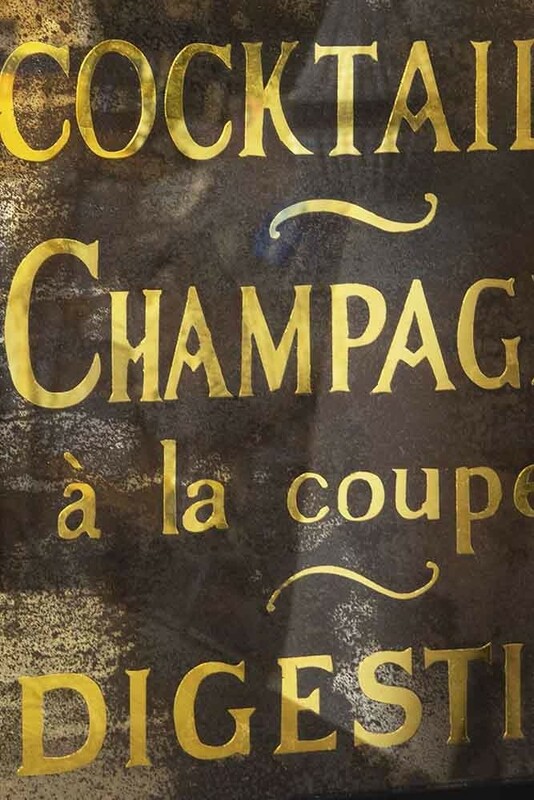 A great talking point that your friends and family will love too there are so many places in your home that you could display the Antique Style French Typography Mirror. In a beautiful frame the typography mirror would look absolutely beautiful hung on the wall above your fireplace or bed or, alternatively as part of your art display picture wall. Even better, if you are feeling adventurous, you could even display the Antique Effect Typography Mirror in unexpected places such as in the kitchen! It’s a great way to add a dash of fun and humour to your home.